Manglam’s strong team with a commitment and vision also plans to give comprehensive solutions to the people in terms of commercial spaces, residential apartments, townships, farmhouses, villas and entertainment theme parks. All the projects commissioned by the Group well justify the present and future need of the people in the most appropriate manner. It is their far sightedness, innovativeness, quality and commitments that have won them accolades for all the ventures that the Group has undertaken. Manglam Group is now geared up to bring a paradigm shift in lifestyles of the Jaipurites through their world class structures. 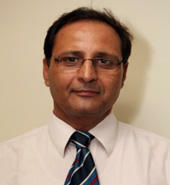 Shri Nand Kishore Gupta, also known as N.K. Gupta was born on 1st January 1957, at Rundal Manpura, a small village near Jaipur. His father, (Late) Shri Rood Mal Agarwal ran a small retail shop in the village and Nand Kishore Gupta was the youngest sibling in a family of nine brothers and sisters. He did his initial schooling at the village itself. Thereafter, he left for Jaipur to pursue higher studies, where he completed his graduation as a Bachelor of Commerce from the prestigious Agarwal College. Soon after graduation, he got engaged to Smt. Tara Devi, a religious and homely lady. He started his career, working as a Deputy Manager in Rajasthan Financial Corporation & Haryana Financial Corporation but his ambition was much greater. Simultaneously, along with his service, he also enrolled for a course in Chartered Accountancy and became a professionally qualified Chartered Accountant in 1979. From the very beginning, his ultimate goal was of pursuing his own business. With this in mind, Mr. Gupta resigned from Haryana Financial Corporation and started his own Chartered Accountancy Practice under the name of NKG & Associates. While running his business, he took up a plethora of assignments related to tax, searches, surveys, audits and other miscellaneous work. However, as business on a much larger scale was always his final aim, he made an earnest foray in the business of construction in 1995. 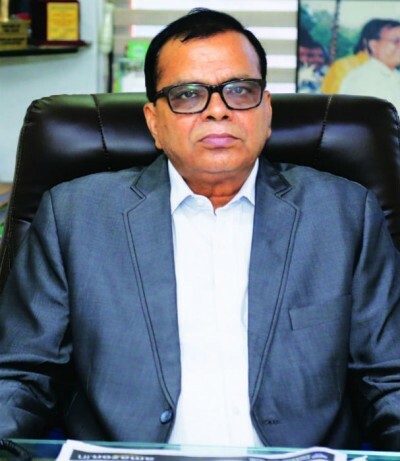 Subsequently, he established numerous companies and partnership firms, keeping in line with the present trends in the real estate sector of constituting separate entities for different projects. In the times ahead, the group popularly came to be known as Manglam Builders and Developers and later on this Flagship Company was renamed as Manglam Build Developers Private Limited. In the role of Chairman of this Flagship Company, Mr. Gupta brought a paradigm shift in the real estate business scenario of Rajasthan and pioneered various new & innovative projects, and most of them are recognized as Landmarks in today’s real estate arena of Rajasthan. These include the likes of Apex Mall, Crown Manglam’s Plaza, Eden Garden, Ganpati Darshan, Manglam City, Manglam Vihar, Kanak Vrindavan, Kanak Vatika, etc. The group has also made a strong foray into the amusement trade with the acquisition of Essel Group’s “Fun Kingdom”, in a joint venture with Dainik Bhasker, India’s largest media house. Mr. Gupta has two sons – Mr. Ajay Gupta, a highly qualified Professional with a Masters Degree in Chemical Engineering from Indian Institute of Technology, Mumbai; and Mr. Sanjay Gupta – a Professionally Qualified Chartered Accountant. Apart from playing a leading role as a businessman, Mr. N.K. Gupta is also well recognized as a Social Philanthropic Activist. He has also served as Secretary of Jaipur’s Vidhyadhar Nagar Central Spine Vikas Samiti, and as the Executive Member of Agarwal Samaj Samiti. He also holds the post of Vice-President in Rajasthan Builders and Promoters Association and is a Member of Rotary Club. An avid sports aficionado, Mr. Gupta has a keen fondness for the outdoors while at the same time being a voracious reader of management books and an avid music lover. Mr Hem Chand Agarwal is a seasoned professional in Civil Engineering who doesn’t need an introduction. He has amassed 43 years of experience in planning, construction & quality management. Mr Agarwal is retd. Chief Engineer from Rajasthan Housing Board & Raj Aangan, Jwahar Enclave, NRI Scheme, Atomic Energy Dept, Pratapnagar and many other milestones were built in his supervision only. Now, being a GM-Civil at Radiance, he is sharing his valuable experiences in converting this real estate project into a precedent of excellence & endurance. Mr. Ram Babu Agarwal is an achiever by nature. His strong conviction & positive energy helped the company sustain positively in the growing competitive market. The young and enthusiastic leader believes in quality and never compromises it on any level. The positive energy around him pushes everyone to go that extra mile and fulfill our commitments. 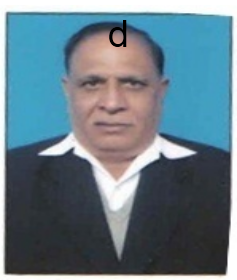 Mr Rajendra Agarwal is a commerce graduate. He has vast business experience, especially in the areas of construction, marketing & electric goods. His energetic ways of working keep the team motivated and his quick and timely decision making power has benefitted the employees & the business alike. A retired senior IAS officer by profession. He is a man with experience of various administrative positions in Government. After the life time experience of being at authoritative positions like Collector, District Magistrate, Director of Rajasthan Tourism, Director of Industries, etc .He implements his focused decision making power in the right progression for the company. He is a B.A., M.A., L.L.B. by education. Under his excellent leadership the company has gained the blind trust & reliance of our clients. He is also a Council Member of governing body of Rajasthan State Productivity Council and active participant in various social organizations. 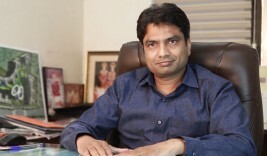 Mr. Vinod Goyal is a dynamic personality by himself. After completing his graduation in Commerce from Rajasthan University he indulged himself into the Real Estate Business. His futuristic vision for exponentially growing Real Estate Market and command over project management helped the company to provide innovative project ideas in line with the needs & demands of the existing clients and to deliver the projects on time. 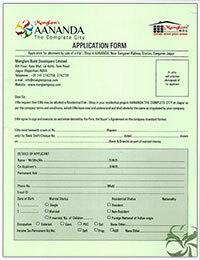 It helped the company in gaining Long Term relationship with clients. 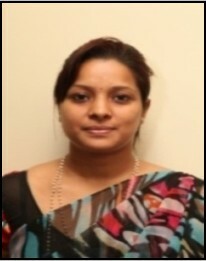 Mrs. Neha Gupta: She is a Woman Director in the Board. She is MMS professional in Marketing & HR. She has very rich experience of approx 10 years in the field. She has enhanced her profile by pursuing a course on Media and Advertising from IIM Tirchy. She is also heading Human Resource Department with full conviction and has shown tremendous organizational skills for the betterment of employees. Mr. M.P. Swami He is LLB and having 35 years of experience at very high post in Rajasthan Govt. 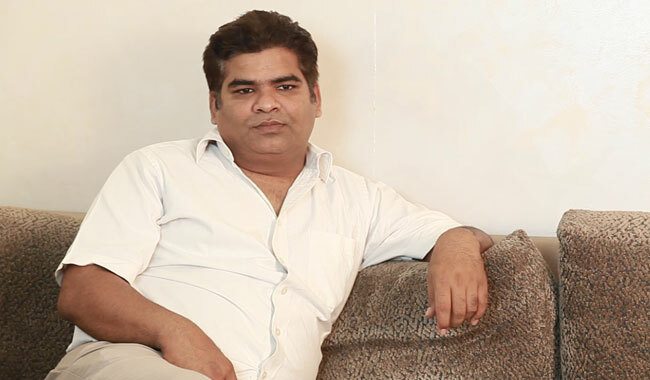 He had been Director Law in Jaipur Development Authority and Jaipur Nagar Nigam. He is author of the book “stamp duty”. Ethics’ is one word that describes our General Manager, Legal & Liaison – Mr. I S Poonia. For his dedication and diligence towards Manglam, he has been awarded as the most promising employee for the last seven years. Under his leadership of the past 10 years, our Legal & Liaison team strictly follows the laws of the state and the nation as well as their correct enforcement in terms of a ‘zero-tolerance’ attitude. He has put down, encourages and guides the process in a harmonious manner so that the environment and the social laws are at peace with Manglam, instead of resisting each other. The transparency and focus of our legal and liaison team has helped us gain many accords in town. 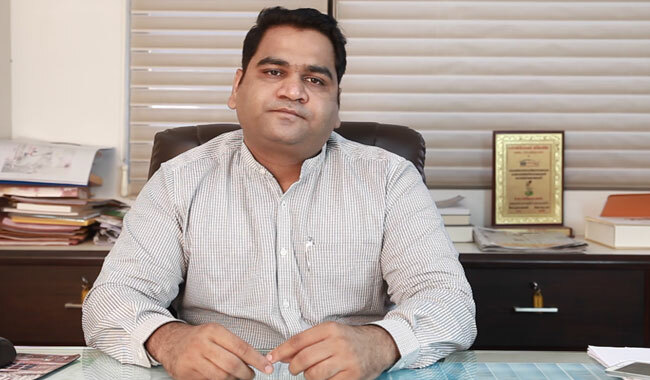 A Charted Accountant and Lawyer by education Mr. Sanjay Gupta is a self motivated Man with thinking that leads to constructive and successful business. After completing his education he joined hands in the family’s Real Estate Business. His knowledge pool and business traits empower the company to reach greater height and achieve better results. He is completely focused on consistent growth of the company as well as providing quality project to the clients. He has written many articles on Service Tax, Works Contract Tax & Budget for various News Papers and Forums and has compiled a complete book on Real Estate titled as “Rajasthan Urban Development Code”. He was the Chairman of Legal Committee of Rajasthan Builders and Promoters Association. He was also the Vice President of Rajasthan Builders & Promoters for the term 2011-2013. Presently he is Joint Secretary of Township Development Association of Rajasthan (TODAR). B. Tech & M. Tech Degree holder from India’s most renowned institute IIT, Mumbai Mr. Ajay Gupta is a True Businessman at heart. He has learned international business traits by serving SAPIENT, a software consultancy firm in London. Due to his keen interest and knowledge in business and aesthetics he joined his Paternal Real Estate Business. Putting in his multi dimensional knowledge he has taken the business to another level. His willingness to do something different inspires the employees to put in their extra efforts to achieve their goals. He is also managing the Garment Business interest of the group. 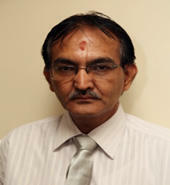 Mr. Prakash Agarwal is General Manager in Sales. He has completed about 13 Years with Manglam and still giving his best contribution to our organization. He joined Manglam as a Sales Executive in Dhanshree Tower, and then got promoted to the post of Manager. In that position, he handled all the customer demands and disputes in a smart way. This quality of taking care of customer’s full satisfaction gave him an opportunity for getting the position of Deputy General Manager. And now he is giving his contribution to our organization as a General Manager. He is post graduate in Commerce. R.D. Sharma is a Commerce Graduate from the University of Bombay. He has 34 years’ rich working experience in areas such as Finance & production. He has been associated with the Manglam Group since 2011 and is responsible for the collection of all the project receivables of the Group. With his knowledge, presence felt in a short span of time. His trustworthiness and integrity is unmatchable. Manglam is amongst Rajasthan’s most distinguished Real Estate Company with its growing presence in 3 states & 12 cities having an outstanding track record in Integrated Real Estate Development with the well diversified projects including Group Housing, Commercial Complexes, Integrated Townships & Industrial Parks.